This program is a main agenda item for our chapter. Our goal is to educate women on the issues and disparities that have great impact on African American women. The areas include, but are not limited to: HIV/AIDS, Heart Health, Breast Health, early detection, obesity and general health and fitness. While African American women are not diagnosed with breast cancer as often as white women, African American women are more likely to die from the disease. 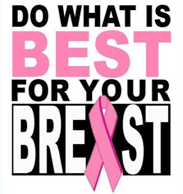 This is due to a myriad of factors, including, but not limited to; access to health care, lack of knowledge about breast health, and fear of the disease or fear of the unknown. Breast health experts are calling this situation a public health crisis among African Americans. In response to this, the NCBW West Palm Beach Chapter, with the assistance of Cynthia Nickerson, a broadcast journalism veteran, and a partnership with Positive Productions, two educational videos were produced. These educational videos, specifically targeted to African Americans, includes personal stories from local survivors, signs to look for, symptoms and risk factors for breast cancer, questions answered by medical professionals and much more. The video can be purchased for $10.00. For more information, please email us at info@ncbw-wpbchapter.org. Check out Video 1 and Video 2 . This Heart Disease Awareness Initiative is in partnership with National Go RED Day. Our chapter’s goal is to reach as many communities in Palm Beach County to bring about awareness, provide information and resources and show individuals how to take care of themselves and combat heart disease. The Friend Your Heart initiative features a community event that showcases a panel of healthcare professionals and heart disease survivors, health screenings, healthy cooking demonstrations and fitness demonstrations. 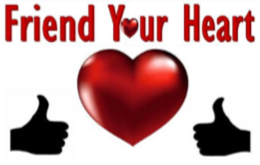 Visit our Friend Your Heart Facebook page which features video clips of interviews with survivors of heart disease and stroke, along with Palm Beach County health professionals. Additionally, heart health news updates, and tips on heart healthy cooking are posted. It’s about saving the lives of you and the people you love. The video is available for purchase for $10.00. For more information, please email us at info@ncbw-wpbchapter.org. The National Coalition of 100 Black Women – West Palm Beach Chapter is on a mission to continue to make a difference in the community we serve. Your in-kind contribution will allow us to offer programs that will carry out our mission. Copyright © 2019 · National Coalition of 100 Black Women, Inc. West Palm Beach Chapter. All Rights Reserved.